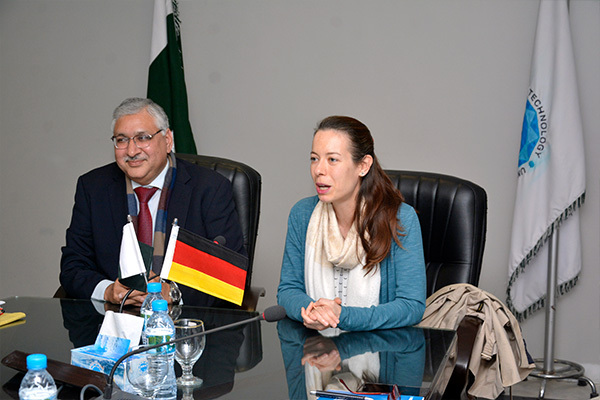 Inge Iqbal, Director, DAAD (Deutscher Akademischer Austauschdienst), visited UMT today and held meetings with Dr Muhammad Aslam, Rector UMT, and Abid H K Shirwani, Director General. Various research grant opportunities for faculty and students were discussed during the meeting. The respected guest was given a briefing about the diverse range of disciplines offered at UMT. 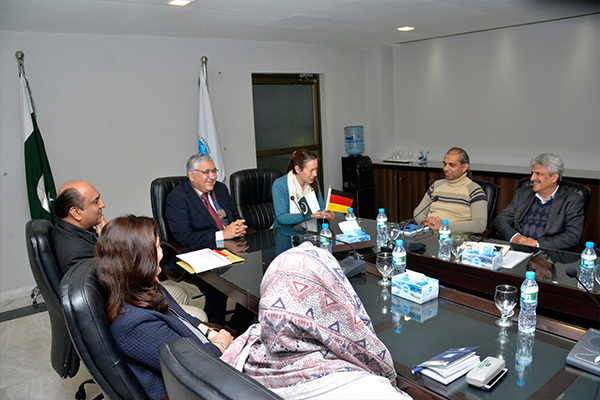 It is worth noting that the German Academic Exchange Service (DAAD) is the largest funding organization in the world supporting the international exchange of students and scholars. Since it was founded in 1925, more than 1.5 million scholars in Germany and abroad have received DAAD funding.